This creative 2,000 sq ft space is located on the edge of the vibrant area of Williamsburg. It is ideal for Photoshoots, Video Production, and Showrooms. The space has an open plan and a welcoming feel. Large windows fill the room with natural light and the high ceilings and wooden floors create a bright and airy atmosphere. 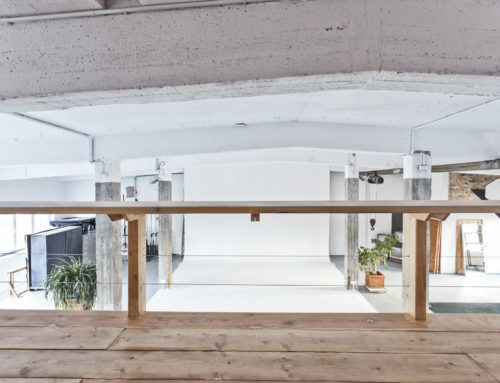 With extensive facilities, including a make up and client area, rooftop, backyard and cyc wall, this space is well-equipped to host creative projects. It includes an amazing prop rental with vintage furniture and an array of themed props. Learn more here. This South Light loft is in a historic building that was constructed in 1910. Originally a carriage house, it has wonderful finishes like tin ceilings and painted brick walls. With 2000 square feet the space has a wonderful shabby chic style and the white floors and white brick walls reflect the light beautifully. It’s great as a still or video location. Check availability for $2000 a day through the RENT button here. This beautifully renovated and maintained first floor loft is located in DUMBO Brooklyn. The building’s old-fashioned exterior contrasts markedly with its state-of-the-art interior, the incredible loft space on the first floor was completed in 1910. This beautiful, historic building has a red brick facade and arched windows. Its windows and roofline are artistically outlined in white. This loft is conveniently located next door to the Manhattan Bridge Archway. Book this space now on Space for Arts for just $3000 a day. This massive and affordable 3,500 square foot drive-in studio was left intentionally raw. It’s painted black floors and walls lend a ominous tone to this vintage warehouse. The massive ceilings range between 16 and 14 feet and boast rigging points for lighting and scenic. Despite it tough looks this space offers amenities like High-speed Wifi and a client lounge and talent holding area. Book it on Space for Arts for just $1400 a day. Bright and airy, this penthouse studio is located in the heart of the Garment District in Midtown Manhattan. Along with a huge wall of windows and beautiful shooting kitchen this space has roof access with unique urban views (watertower included!). Access their in-house inventory of rental furnishings to save on prop styling. Book this studio now on Space for Arts for just $1,200 a day. A hidden gem of historic New York City. A huge penthouse loft in the Landmark Westbeth Building, the studio is the former location of the Bell Laboratories in the West Village. See breathtaking views sweeping from the Empire State Building down to One World Trade, the New York Harbor and Statue of Liberty with a massive terrace overlooking the Hudson River. By day, the natural sunlit studio lends itself to photography. Book it now on Space For Arts for $3500 a day. At just $500 a day this intimate space will help you create unique images at a price that you can’t beat. A south facing daylight space with expansive views across Chelsea and The High Line from the 9th floor. It is 640 square feet with two bright white shooting walls, each 15′ x 12’. Afternoon sunlight streams across our gloss white floor and east wall creating drama and intensity. Amenities include wifi, stereo system, makeup table with mirror and a Hensel strobe kit with 2 heads. Freight elevator is available from 7am to 5:30pm. Book now on Space for Arts for just $500. Co-Founder of Space for Arts. Founder Adirondack Partners. Entrepreneur, executive, avid cyclist and activist. Thirty + years of experience building and advising companies across a range of industries.